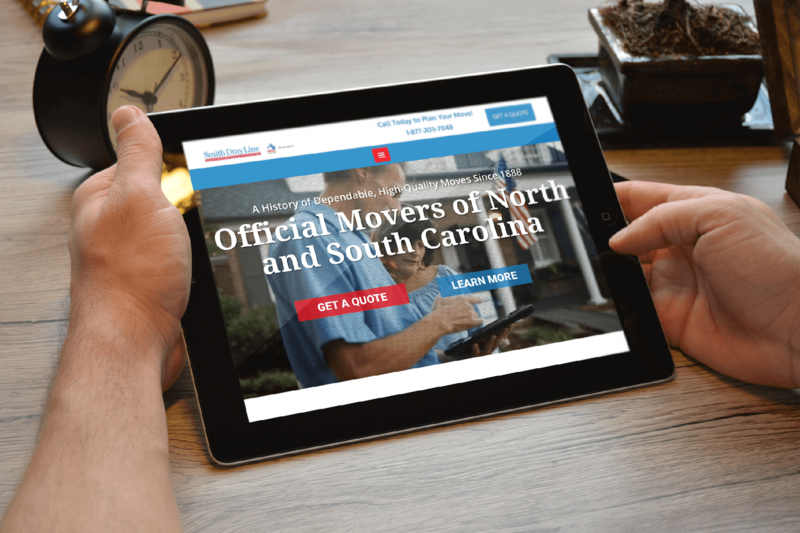 When Smith Dray Line contacted us they were moving SEO companies and needed a new site as a result. 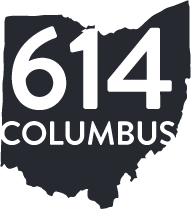 There were certain things about their original site that they liked– such as being able to have client update service testimonials. 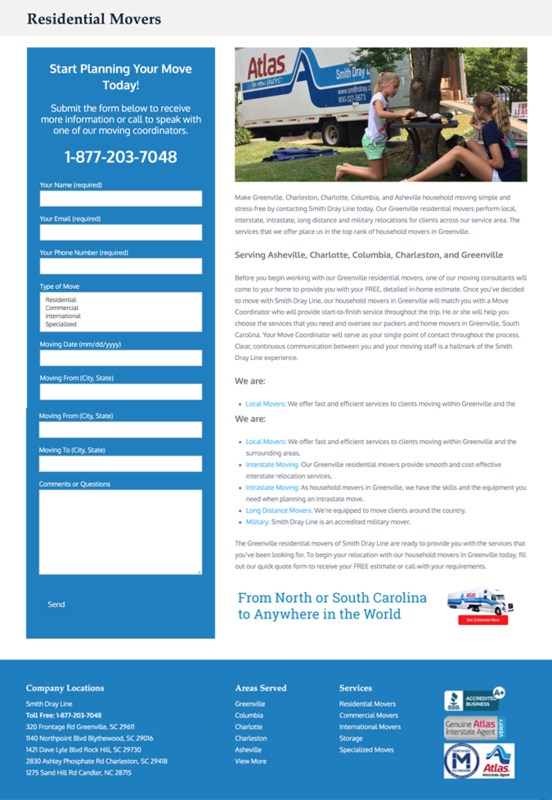 They also needed a site that would help their new SEO team improve their results, conversions, and overall business growth. While they needed to get their new site up and running soon, they understood that one of the beautiful things about web design is that nothing is permanent and thus can be updated frequently to help attract new customers. We launched the new Smith Dray website within about 7 weeks. From their we have continued to add to the site through custom curated and branded photography, adding the companies custom bio video to the hero banner, and working directly with Smith Dray’s SEO company on an ongoing basis. 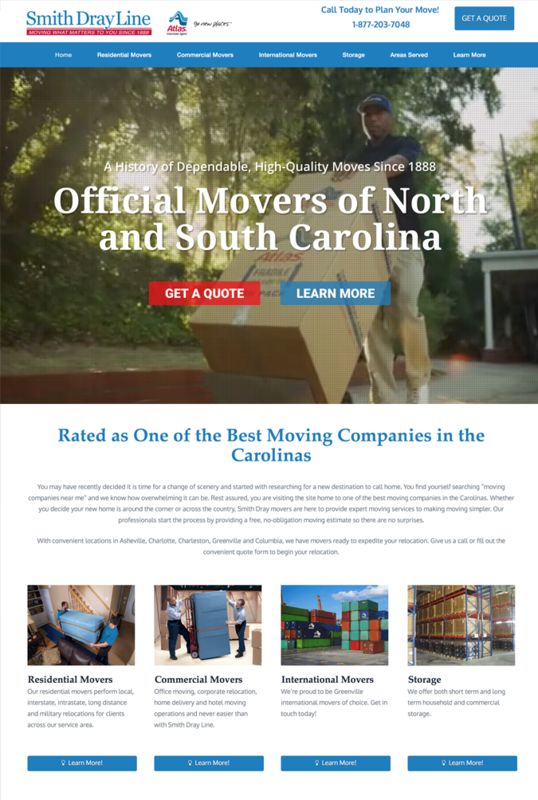 This ongoing level of care and partnership with their other vendors has afforded Smith Dray a measurable increase in internet leads while showcasing their moving company, as a member of Atlas Van Lines, as one of the preeminent movers of North and South Carolina.